The city of Nawab, Lucknow recently made the latest additions to the metro scene of the country. Without a doubt, metros prove to be a cost-effective and convenient mode of transport for the commuters. While the Lucknow Metro flagged off in 2017 at some routes, it became fully operational March this year. 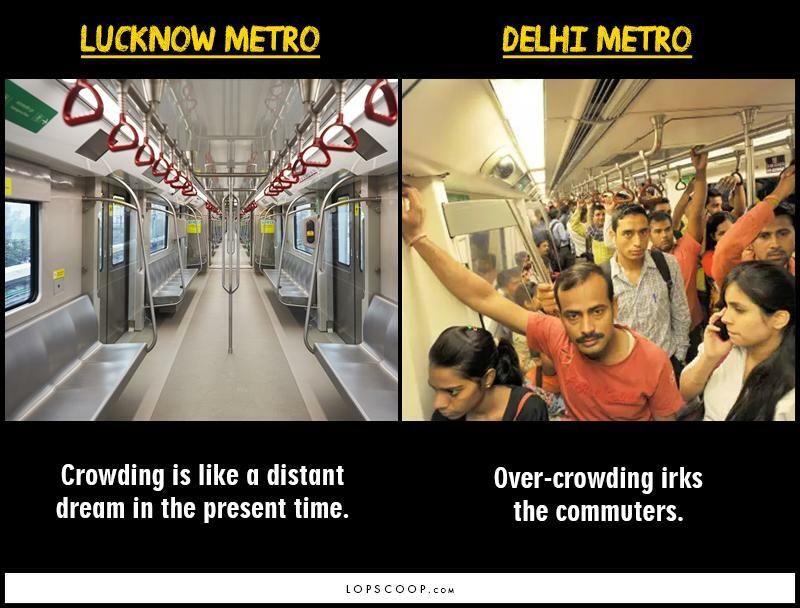 Contrary, Delhi Metro, which was started in 2002, has presently one of the largest networks in the world. We decided to put them head to head, however not in technical terms. Have a look at what makes them different from each other. 1. Long lines crammed with people, both inside and outside the metro is one of the biggest problems faced by the commuters especially during the rush hours, however quite contrary Lucknow metro has a dearth of people. 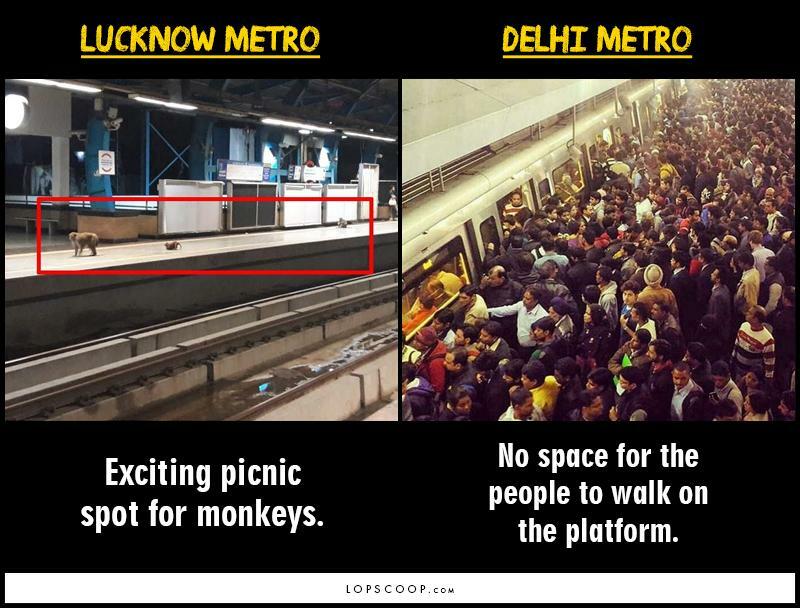 You can find more monkeys than people on the platform there. 2. 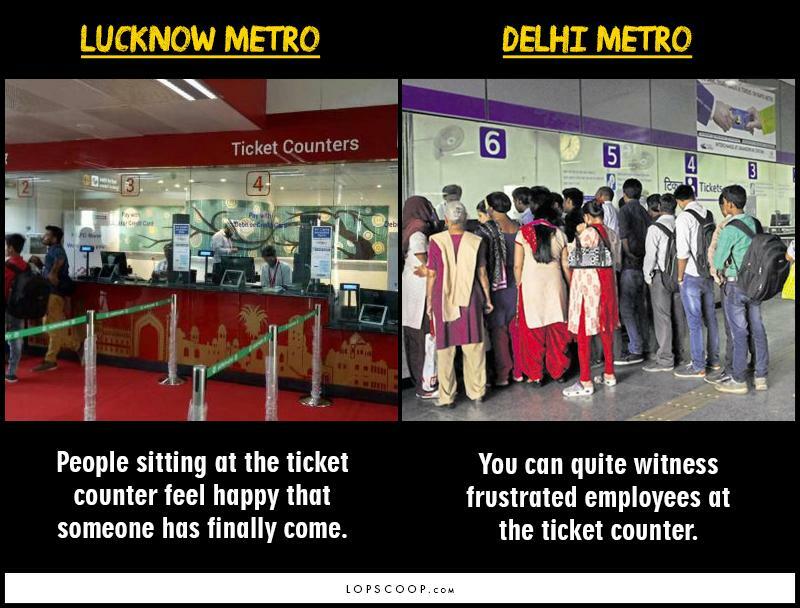 It is easy to witness the employees losing their temper at pity things but when someone comes at the ticket counter in Lucknow, the person sitting at the ticket counter feels happy that at least someone has come. 3. 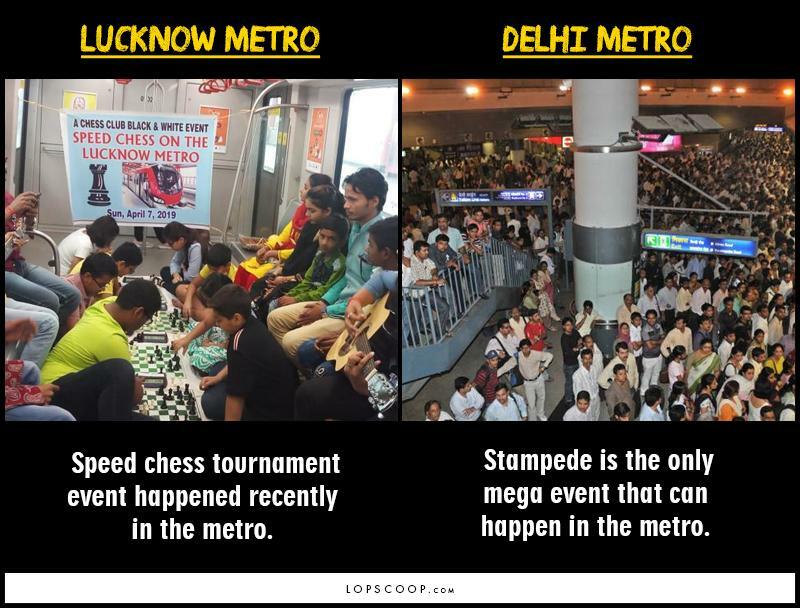 Good road connectivity and maybe lack of awareness about the metro in Lucknow makes people avoid metro there and quite contrary Delhi metros are one of the most used mode of public transport. 5. 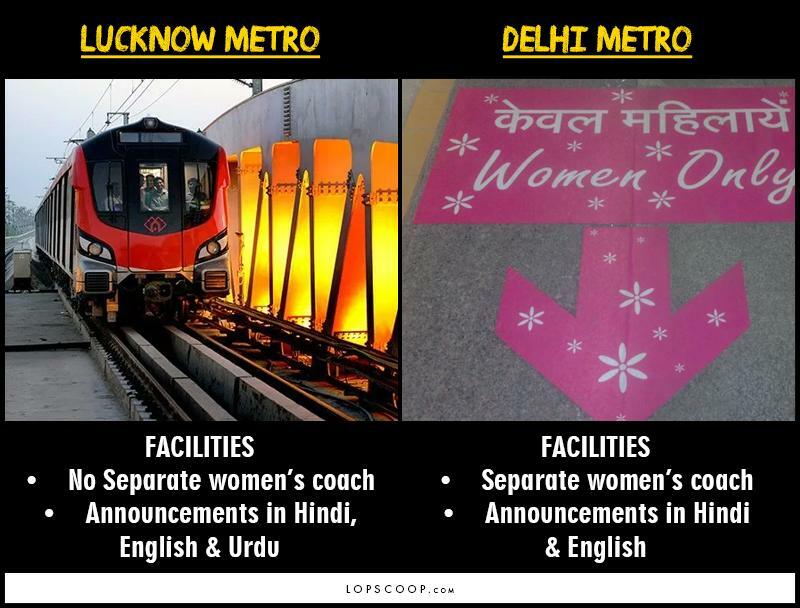 Quite a few things have been added in the Lucknow metro. Apart from the difference in entry gates of the metro station, there are some more features which are different in Lucknow Metro.